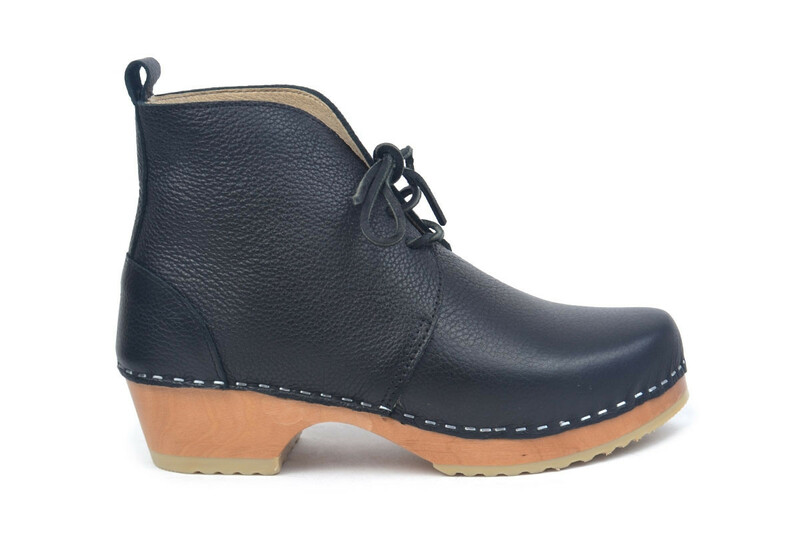 Montreal has a lace up design for every day comfort. 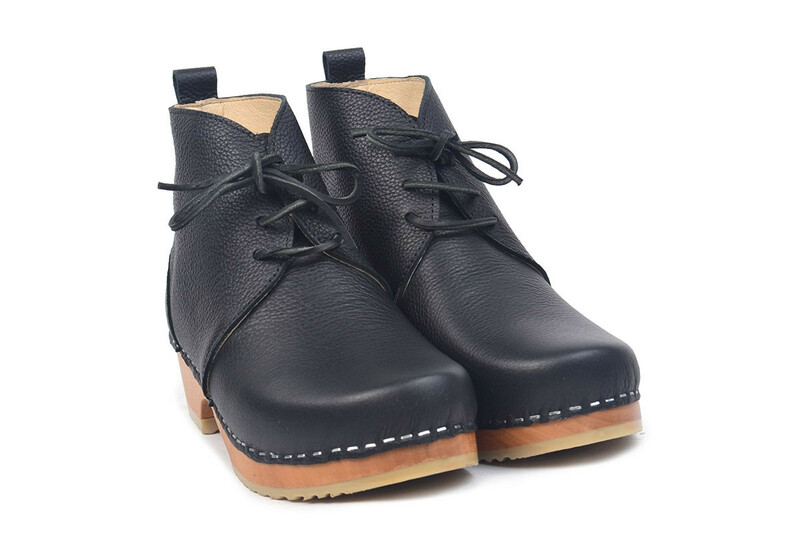 The boots are made in an extra soft black leather with a pebbled finish and matching black leather laces. 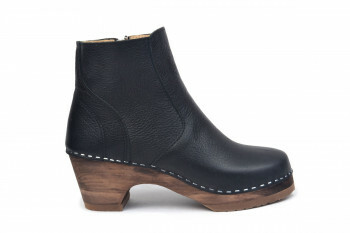 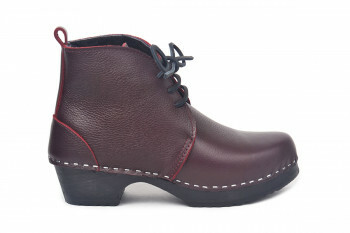 The boots are made on our varnished Comfy bottoms.